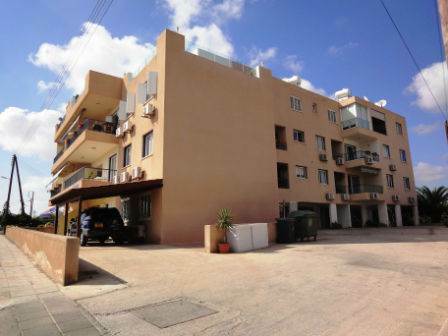 Paphos, Cyprus - This spacious one bedroom first floor apartment is located near the centre of Paphos within easy walking distance to the town. The property features a spacious living room and end kitchen with breakfast bar. Patio doors provide easy access to a covered balcony with side sea views. Off the living room is a good size double bedroom with fitted wardrobes, and a family size bathroom with modern finishes.